‘Pink Mink’ is a variation of iodantha by the look of it. It flowers for a long time from winter onwards. Iodantha is such a tall, but lovely, plant and I think ‘Pink Mink’ is better if you want something shorter. Will grow towards 2m, can be cut down around Xmas. Can get affected by frost colder than -2C. 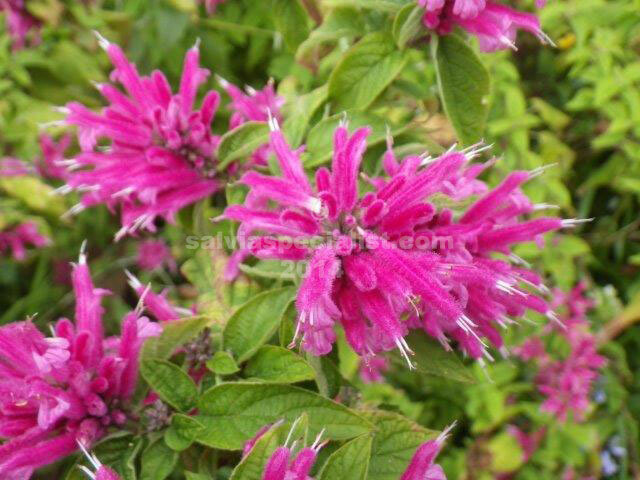 ‘Pink Mink’ seems more difficult to strike than iodantha.